Today most businesses will have some form of online communication where there is a place for potential customers to visit and have a look at what you have to sell. In the online world, this is what we call a website. Although many businesses still utilize social media as their main source of communication. Having your own website will always be more beneficial to any business especially a growing business. However there are still tons of website designs out in the internet that show mistakes and do not perform optimally. Ideally, every website should provide the best user experience to increase time spent on. This will then lead to a steady flow of lead generation. At the end of this process then, the end goal will be to have continuous ongoing sales. Websites always need to be maintained and updated as time goes by especially in a fast moving market. There are many web design agencies within your area that are able to assist in building or creating the right web strategy for you. They are also able to help avoid mistakes that a of web designs have. The first common mistake that most web designs have is a proper or sufficient Call to Action. This is what will convert your visitors to customers. A good website will tell the customer what to do, where to go, and how to feel. Once a visitor has arrived on your website the end goal will be to convert them. What is important is that your content must be clear and direct to inform the visitor of the value of your products or services that you provide. 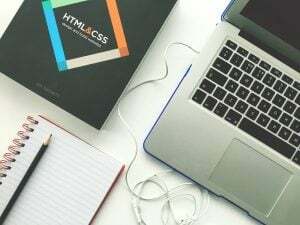 As most businesses have a lot of products or services, therefore it can sometimes be hard to create a website that is balance and informative. It is not necessary to get overly creative with the copywriting for your call to action as it can sometimes confuse your customers. Keep it as simple and succinct as possible. You may tell your visitors what to do exactly. Here are some of the simple call to action options you may consider. The main purpose of designing a website is to communicate with your potential customers. Most businesses overlook the analytics measuring aspect of it. 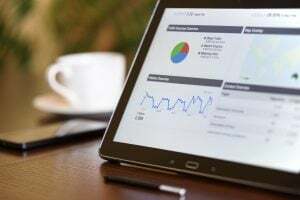 Website analytics can provide important data which can analyze your progress overtime and measure success to see what percentage of visitors and conversion. The main benefits of marketing online is having the ability to test, track and adjust according to previous results. Google Analytics is a good tool to use for tracking valuable information about user behaviors and visitor site performance. Combining this with a solid digital advertising campaign and to properly target a specific audience that has a higher percentage of bringing in sales. The focus here is to have high search engine rankings for your website. Of course this does not happen instantly as it takes more effort in climbing the ranks. Most businesses do not have any SEO efforts done on their website. The website will then lack in traffic which will lead to not reaching the sales goals for the business. When designing a website, you will need to keep in mind of the content and the copywriting that you put into the website. Search engine algorithms have changed and become smarter. It will have a stricter valuation of the site to bring its ranking higher. This is a very important part of any web design. Any visitors coming to your website should be able to get in touch with you easily. Of course you shouldn’t put your contact info everywhere on the site. This is the easiest web design mistake a lot of businesses can avoid almost immediately. There are many ways of how you can word your Call to Action with your contact information. Do not let your visitors go through too many steps and clicks just to get your contact information. Most people are always on the move today and without access to computers or laptops immediately. However, they will have a smartphone with them or a tablet. People are mostly browsing the internet using their mobile devices at a higher rate compared to desktop. When you already have a website which is not mobile responsive, most web developers are able to convert it to a mobile responsive site. Also when considering to build a new website, please make sure that it is mobile responsive. This will offer a consistent experience across all devices and platforms for your potential customers to view. With more than 50% of the traffic coming via mobile devices, this is an extremely important factor for your business to have a mobile presence. It will also be Google-approved for SEO. With new web design technologies and options, there are also new problems that arise with them. Small problems can adver..